Cut the mango in half and peel off the skin. Save one half to make a mango rose. Puree the other half in a blender and refrigerate. Boil 200 ml of water and add the tea bag. Cover and let the tea steep in hot water for 5 to 10 minutes. Put the tea in the fridge. Once the tea is cooled, pour the tea and the mango puree in a blender. Add lime juice and continue until everything is thoroughly combined and till smooth. 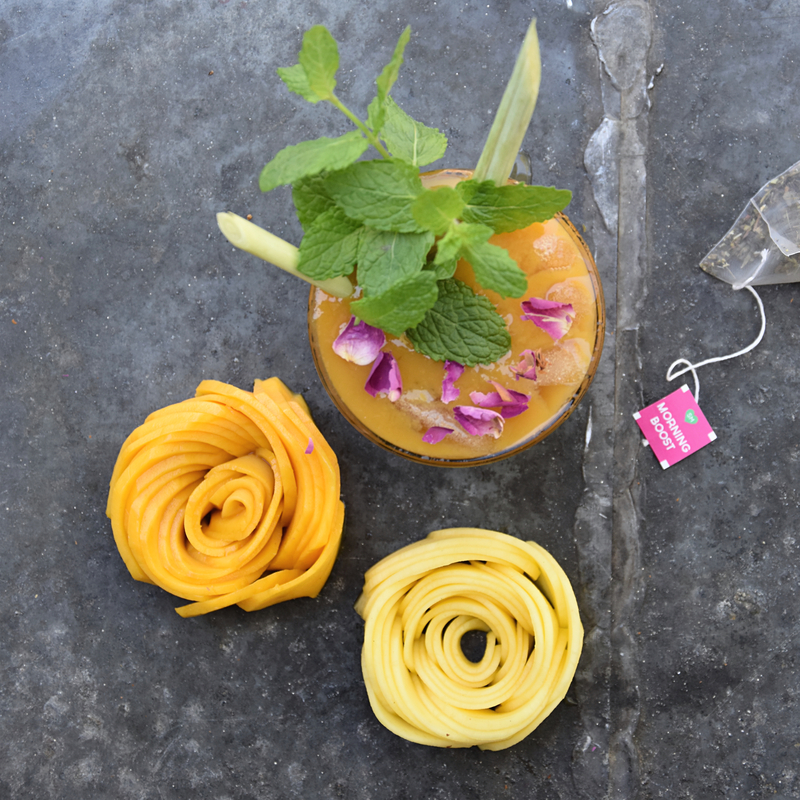 Serve the mango iced tea in a glass with some ice cubes garnished with mint leaves, rose petals, lemon grass stalks and serve a mango rose on the side.